A global sensation - the design of our blue plastic chair means it’s exceedingly versatile and a top choice for all kinds of events, from conferences, assessments, ceremonies and sporting occasions. Used in and outdoors the plastic seat and steel frame ensure it is robust and very economical to hire and transport. There aren’t many models of chair that undergo little change over the years. As offices change and workplaces become more aware of what workers need, seating has developed alongside this. For example, many office chairs now resemble highly innovative products that offer lots of adaptable benefits, which is important for ergonomics and keeping the body in balance and free from tension. If you were shown a photo of one of the first polypropylene seats that was made from an injection moulding process, you’d probably think that it was very similar to our plastic chair hire range. It’s eye-opening to learn, that the seat that’s proven to be a much-used template for polyprop seating was first available back in 1963, and it was such a good design there’s been very little need to alter it since then! Created by Robin Daye, the injection moulded polypropylene chair has become one of the most popular in the entire world. The British Designer purposefully invented a product that could be made cheaply and used for lots of different events - objectives that he has definitely achieved. The design alone has won accolades for its truly iconic appearance, which won it the British Design Classics title and led to it being pictured on stamps in this century. We can proudly say, that our blue plastic chair still ticks all the boxes that the original inventor intended - and more too! One of the most attractive benefits to our range of polyprop seating is the price, which is definitely in keeping with the brief for the initial model. This is one of our most cost effective ranges and explains why they are so popular for larger orders and when our clients are looking for budget friendly options. Part of the reason this is so affordable, is down to the design, and also due to our chair rental deals too. 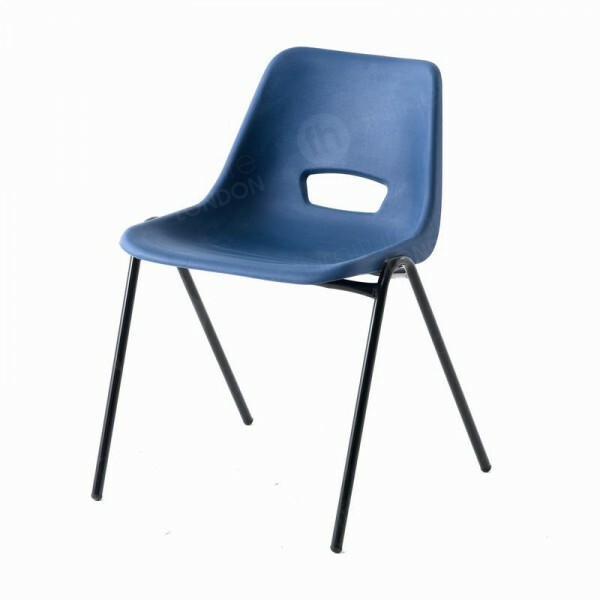 Like the very first seats of its type, our blue plastic chairs are injection moulded - making manufacture really cost effective. But when you choose to hire from us rather than buy your seating, you’re instantly reducing the cost of your order. Our rates make it much cheaper to rent chairs, and as we cut our prices further, then you’re able to choose fantastic deals for your events. Why is this chair so versatile? Materials really have an impact on the final appearances and the practicalities of seating - as well as the costs associated with manufacture. The plastic seat and steel frame of this model has appealed not only to the Britain where it was made, but across the world with many countries using a similar type of chair in their organisations, schools and businesses. 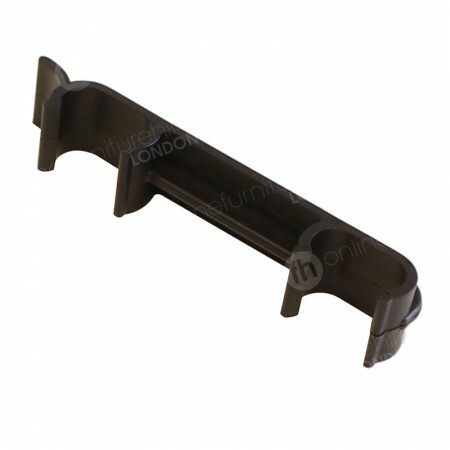 We also find that this is one of our most versatile items, because it is so robust and has a classic design. It’s sleek lines mean it’s a favourite for corporate occasions - from conferences to meetings - as well as events being held in educational institutions, such as exams. These are just some of the examples for the many uses of this product, and an additional benefit is that it can be used outside, thanks to the weatherproof polypropylene seat and steel frame - perfect for those outdoor weddings, ceremonies, sporting events and corporate barbecues. We also have black polyprop chairs for hire, as well as folding chairs, which can all be used outdoors too. Whether you have ordered thousands from our polyprop chair hire range or just a few for a smaller occasion, their design means they’re also simple and quick to set up. They arrived stacked and they are lightweight to lift and move into position. If you choose to store these, then you’ll find that stacking them ten high saves on your space. We need to set lots of these chairs out quickly - is this simple to do? The design of this plastic chair hire product means they’re very convenient to set out. We stack them up in large batches on pallets so you can install them very quickly when they arrive. Our team are also available to help with set ups - just let us know when you order if you’d like to go for this option. Will this model suit a corporate conference? The classic lines and blue colour of this product makes it a great choice for conferences and other kinds of events - they’ve even be used at a function that was attended by the Queen herself. Guests will be dining at my event - are the chairs easy to clean? Extremely! The plastic seat is very robust and can simply be wiped clean if necessary. They’re also weatherproof too. Can I add to my order once my function has started? That’s no problem - just let us know how many plastic chairs you require and we’ll transport them to your venue. I need to extend my hire period - is this possible? Yes - we’re very flexible as we know that your plastic chair hire needs can change quickly. Simply let us know and we’ll extend your rental period in seconds.